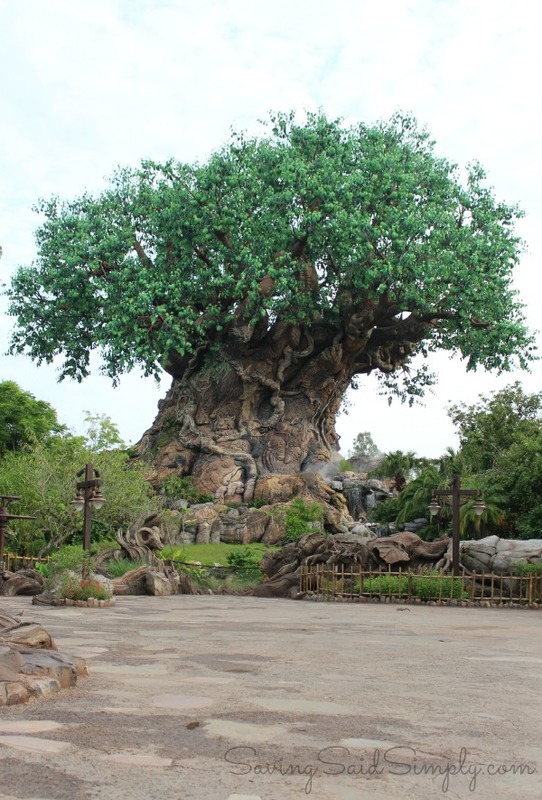 Looking to maximize your visit to Disney’s Animal Kingdom? I’ve gathered together the BEST tips to make the most of your vacation! As a Disney enthusiast and Orlando native, this gal loves Disney Animal Kingdom as one of the best theme parks for families. From food to rides, exclusive tours to insider info, check out my 7 Best Tips for Visiting Disney Animal Kingdom, unlike any other animal theme park in the world! If you’re an early riser, the Disney Animal Kingdom Backstage Tales Tour is a great way to explore the Disney park, behind the scenes. An exclusive guided tour of the animals, enclosures, training, feeding, and more, this is definitely the tour for the Disney lover. AND, one of my favorite parts about this tour is that you get early access to the park, and that perfect Tree of Life picture! If you’re looking for more authentic food inspired by Africa, Asia and beyond, Disney’s Animal Kingdom definitely steps up to the menu. The Disney chefs bring exotic spices, tastes and palettes to offer delicious food offerings you can’t find at any other Disney park. My favorite area for exclusive eats is the newest Animal Kingdom eatery, the Harambe Market. Spice-Rubbed Karubi Ribs, Sausage Curried Corn Dogs and Watermelon Lemonade are our family’s personal favorites. And let’s not forget that Animal Kingdom is the perfect place to pick up another Dole Whip….with rum for adults! The Disney Wild Africa Trek has to be one of the best private tour offerings at Walt Disney World. If you love animals, adventure, and Disney…this is the bucket list experience for you. A guided walking tour through the jungle, up close animal encounters, a bird’s eye view from a rickety bridge, a beautiful snack locale and your private safari, this is no ordinary 3 hour tour! Be sure to click the link above for my exclusive video and tips for your trek! 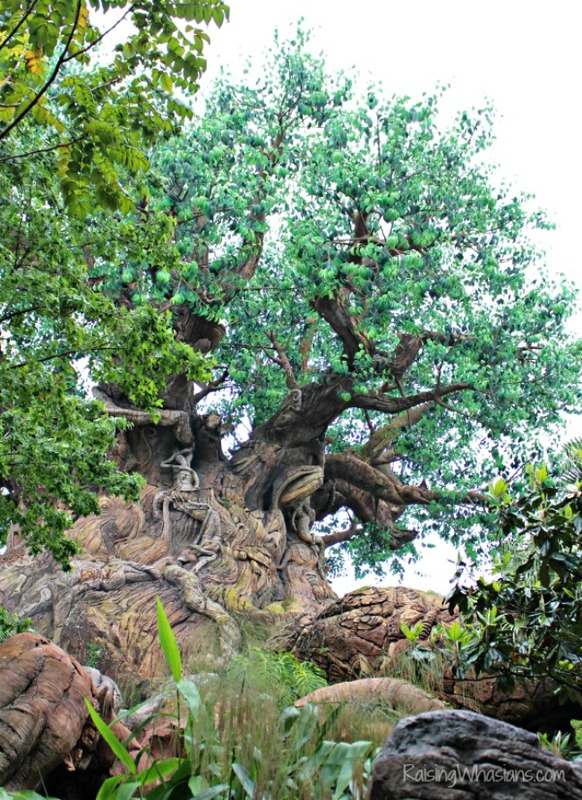 Want an even deeper look inside of Disney’s Animal Kingdom? It’s definitely my favorite tip to explore the park…and it’s FREE! The Wilderness Explorers Guide is a book chock full of exploration, discovery and learning for families. 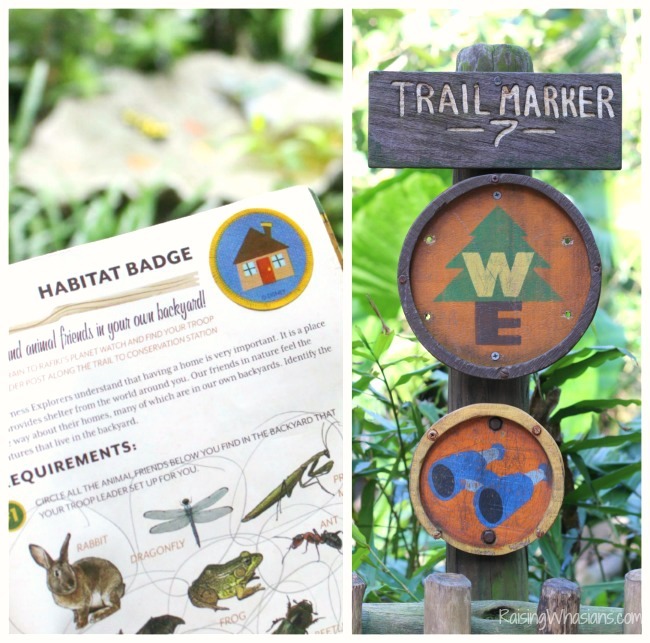 Pages in your book offer the ultimate scavenger hunt to Disney’s Animal Kingdom, earning you 31 badges along the way. The completion of the hunt also earns you the ultimate prize, the Senior Wilderness Explorers Badge! 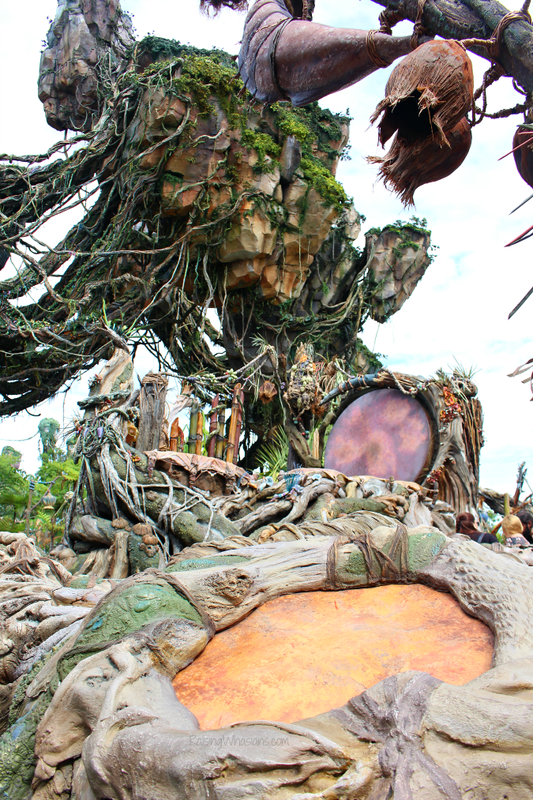 Make time to immerse yourself in Animal Kingdom’s newest land, Pandora The World of Avatar. Stunning visuals, 2 all-new rides, out-of-this-world food options, gorgeous picture opportunities and whole lot more await your family. Be sure to check out my post to see why Pandora is great for kids too. The all-new nighttime Disney show, Rivers of Light, offers a one-of-a-kind Animal Kingdom show. This 15 minute shows offers a different side of the park with enchanting views, creative visuals and so much for your family to take in. 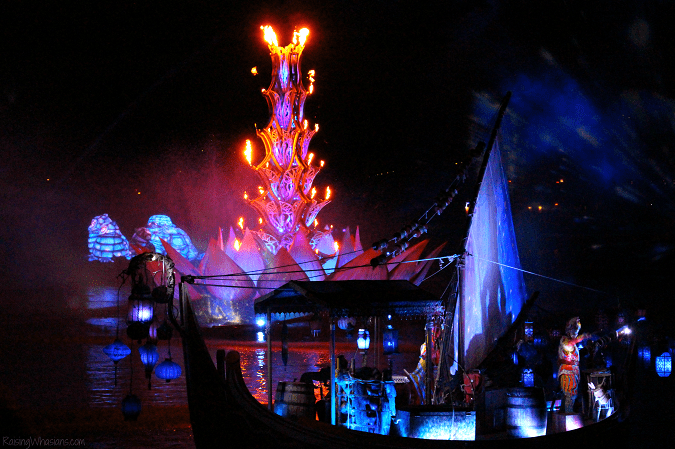 Be sure to check out the Rivers of Light best tips to make the most of viewing. Disney’s Animal Kingdom definitely allows the guests to get up close and personal with the animals, the Disney way. 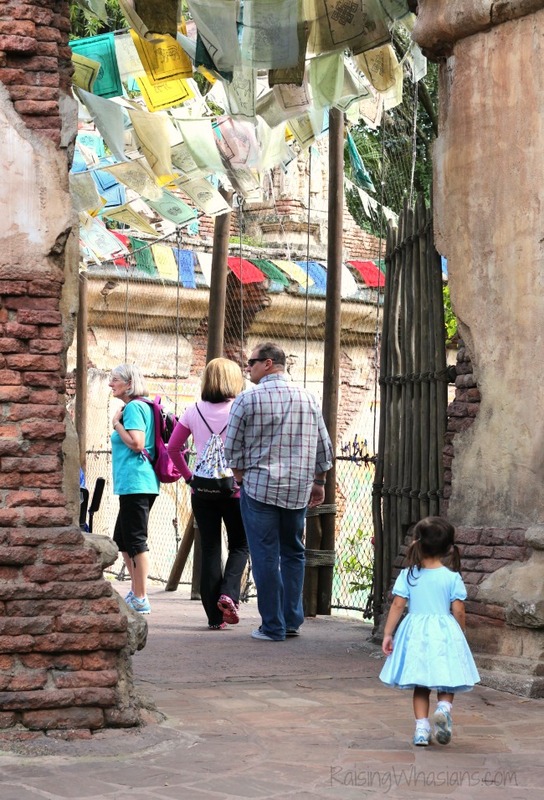 One of our favorite animal areas is the Maharajah Jungle Trek. 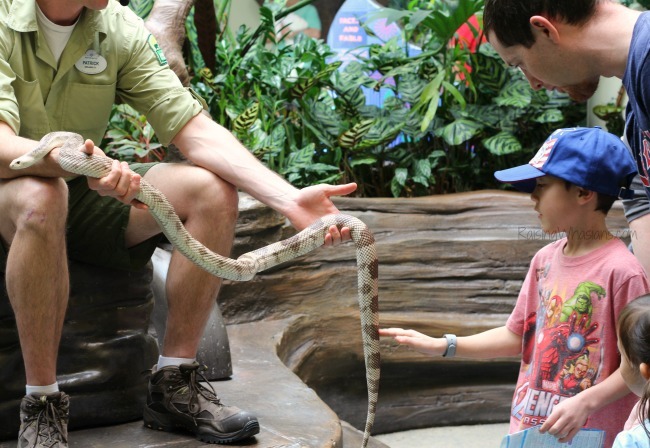 Tigers, bats, komodo dragons and more Asian animal species are all surrounded by beautiful enclosures, informative signs and very knowledgeable staff. We could stroll this area for hours, learning new facts about animals in our world! 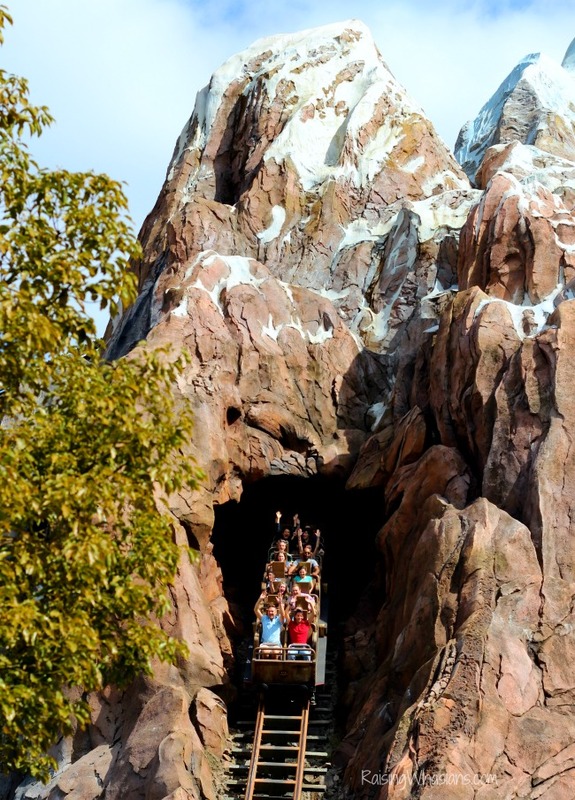 The best tip for your Disney Animal Kingdom visit? Making sure to take in every Disney moment! Disney’s Animal Kingdom offers so many great experiences from amazing rides to exclusive tours, delicious eats to the best photo opps. Be sure to take in the memories with an open mind and a big smile! What is your best tip for visiting Disney Animal Kingdom? I received media access to Walt Disney World in exchange for this Best Tips for Visiting Disney Animal Kingdom post. All Disney fanatical opinions are my own. Be sure to follow Raising Whasians via Facebook, Twitter, Google, Instagram, Pinterest and YouTube for more of your family travel tips! We haven’t been to Disney in forever. 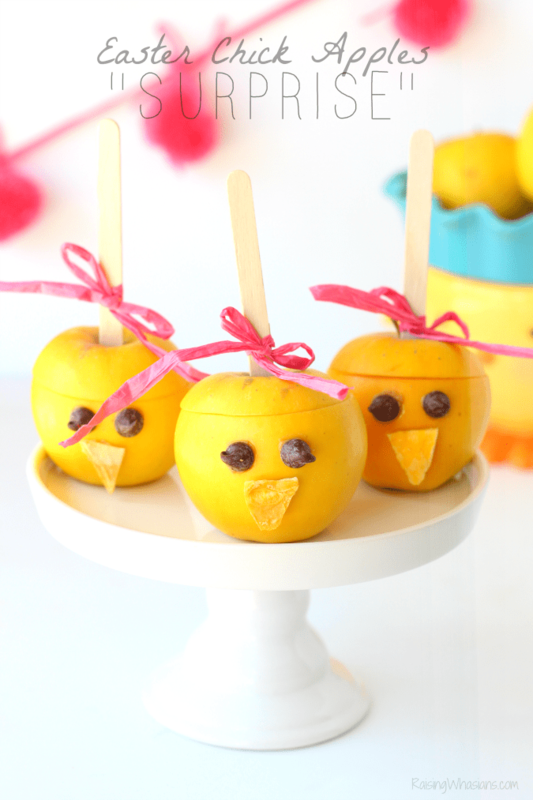 If we take our grandkid we will definitely need these tips! We go to Disney every year and honestly this is out least favorite park. I actually already told the kids we were skipping it when we go in August. Wow! Thank you so much for sharing this. I think the early morning behind the scenes tour sounds amazing. Our new favorite is the character breakfast at Tusker House Restaurant. My favorite expeience is Festival of the Lion King. Kilimanjaro Safari is great for everyone and Expedition Everest is thrilling. My kids have never been to Disney and I have no desire to go but my oldest daughter wants to take my youngest daughter to Disney next year. Thanks for the tips! I’ve never been to Animal Kingdom. My boys and husband went last year while I was at DSMMC, during conference day. We did other parks when I was able to go with them. I love the Wild Africa Trek! I have such a deep adoration for animals, especially wildlife. Thank you for the tips, they were very helpful. I’ve never been to the wild kingdom. I have to put that on my list the next time I go to Disney. Hope I can get there soon! I have always wanted to go to Disney Animal Kingdom. It would be an amazing adventure. Great tips! We haven’t been to Disney in two years and we hope to return with the kiddos soon! This looks like so much fun! The Wild Africa Treck would be a hit with our family! Thanks for sharing! The corn dogs look delicious too! These are great tips, I hope to some day take my trio here and will use some of your tips to survive and enjoy it! Our son had the best time at Animal Kingdom. He met his favorite characters from Up and tried to complete his wilderness explorer badge. We have never had the pleasure of visiting Disney. I would love to head there though because it looks fun! I live in Southern California and have visited Disney too many times to count. What a wonderful place. My kids are grown and we have not been in quite awhile but are hoping to some day soon have grandchildren that we can take there. Thanks for all of the great tips. I would go to Disney Animal Kingdom just so I could see the elephants. This looks like a really great place to visit. Should I ever decide Disney is a place for me, I’ll check it out. I visit Disney in CA or FL every chance I get. I’ve never met a section I didn’t like. Each of my friends and family has favorites, so we always plan for a two or three day adventure. Your description and tips bring out the fun that Walt Disney saw in his dreams. My family & I had such a blast last year when we were able to visit. It’s a great change from other theme parks. I think Disney Animal Kingdom sounds like the perfect place for me to visit. I am a huge animal lover. 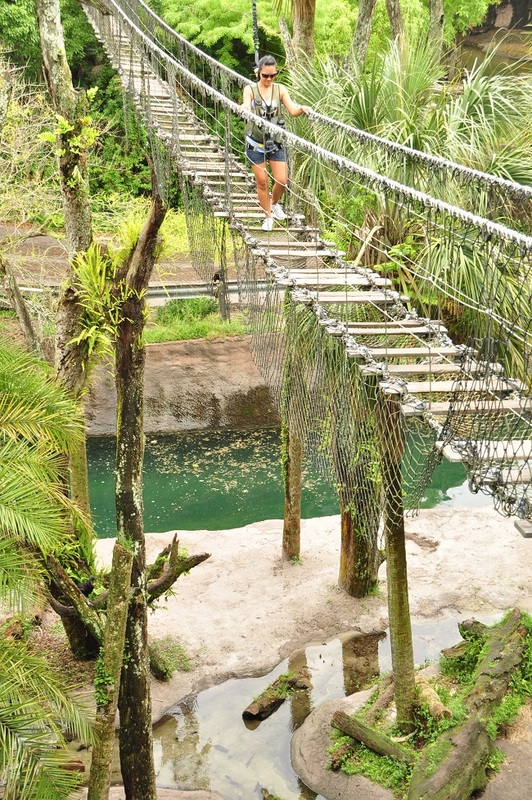 That rickety bridge would have scared the mess out of me. My friend and I did the Wild Africa Trek and we had a great time, got close up and unique animal photo ops, it was an amazing adventure that we will never forget. Disney hospitality at its BEST! Highly recommend it. I’m so saving this for our next trip! We’ve done some of your ideas but you have some fun new to us options too! These are such great tips! Visiting Animal Kingdom is on my bucket list so I’m going to keep this post in mind. I went to Disney Animal Kingdom once, but didn’t really get to experience it. These are some great tips! Thanks for sharing. I have never been to animal kingdom, but it is defianately on my must do list! As much as I love magic kingdom, I think animal kingdom would be my first choice! Can u elaborate on the wilderness badges? I just returned from our Disney family vacation and unfortunately Animal Kingdom was my least favorite. It felt hotter than the other parks. I would go back at night but probably not a full day. Thank you for all the helpful info!! My husband and I are going in sept for the first time and we’ll probably spend more time here than any other park!! We’re animal fanatics!! All our vacations seem to end up revolving around them! Cannot wait!! And will use your tips!! Can’t wait to hear about your trip, Brandy. Enjoy! The Disney Wild Africa Trek is one thing we didn’t do last time we visited, but would love to the next time! Sounds amazing! I was there this past February, and would recommend the “Caring For Giants” behind-the-scenes tour to anyone interested in elephants. The fee goes entirely to Disney’s elephant conservation fund. You get access to the entire elephant herd, and it was a great photo opportunity, especially with the baby elephant Suri! Also loved the tigers in the Asia section, and the gorillas. We have gone three times and all of these we splurge at the Yak and Yeti restaurant, they serve the best duck. I find that going to sit down restaurants is not that much more expensive than fast food in Disney (except for the tip) and we get a much better meal. My favorite Animal Kingdom tip is to do the safari in the morning. They feed the animals strategically and you have to best chance to see the most animals during their breakfast. Also, we love a nice sit down lunch at Yak and Yeti. We don’t typically do a long lunch at Disney, but the animal kingdom park is definitely a lot more walking than the other parks (well except for the world showcase maybe) and a relaxing lunch in AC does wonders for the whole fam. Thanks for the tips!